Tanzanite, a zoisite, is found in Tanzania and was first available on the gem market in 1967. Zoisite was renamed Tanzanite in 1969, after its country of origin, by Tiffany & Co. as their tradename for the gemstone. Tanzanite is very rare. It is so rare, in fact that one small mining area in Tanzania accounts for all of the worlds Tanzanite. This rich, beautiful blue stone resembles Kashmir sapphires. This brilliant beautiful blue is found by heat treating the gemstone. Tanzanite gives off different colors ranging from blue to violet to reddish brown, when viewed from different directions. This is known as trichroism. 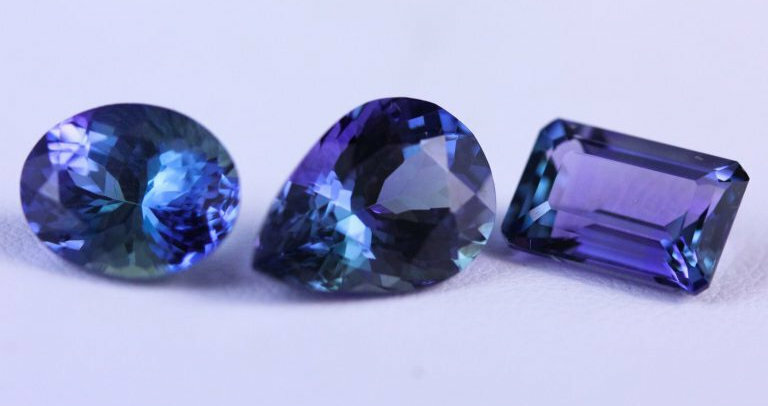 To care for Tanzanite, clean only with mild soap and warm water, avoid ultrasonic cleaners and treat it as you would any piece of fine jewelry. Our favorite Gem Junkies also had a full Podcast episode on the East African gemstone.